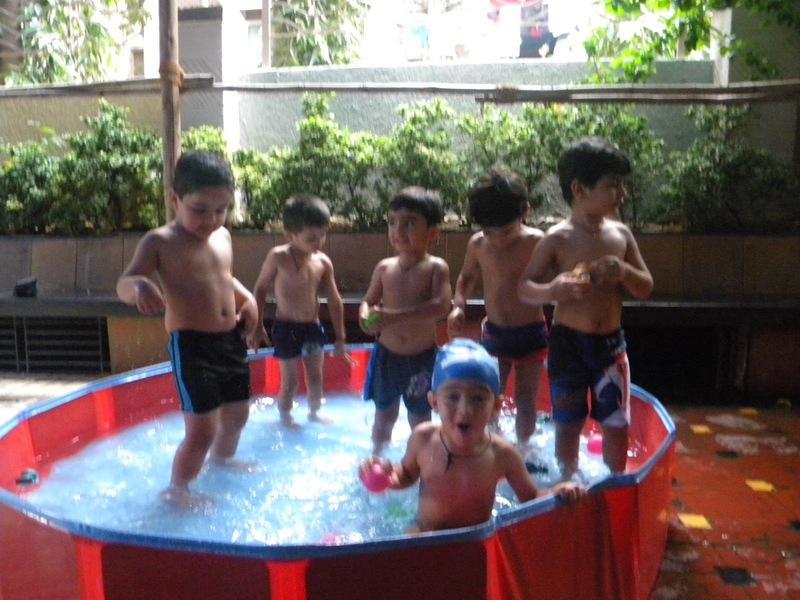 Water play is very pleasurable for young children. Water play is good for children's physical, mental and socio - emotional growth. When children pour water, they are improving their physical dexterity and eye - hand coordination. By playing with others, blowing bubbles or washing baby dolls they develop social skills. At the same time, they use their mind as they explore why certain objects sink in water and others float. Children learn concepts such as empty/ full, before/ after, shallow/ deep and heavy/ light in a hands on way. 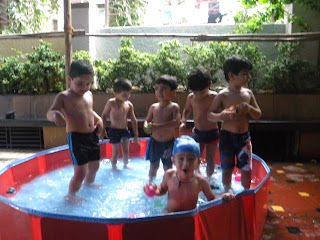 WIS nursery section organised water play on 29th june,2012. Boys and girls had seprate water pool to play in. Parents were priorly informed about the water play so that they could bring swim suits. 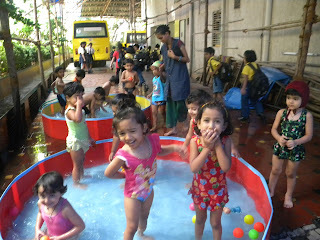 Children were very excited and had great fun playing in water pool.